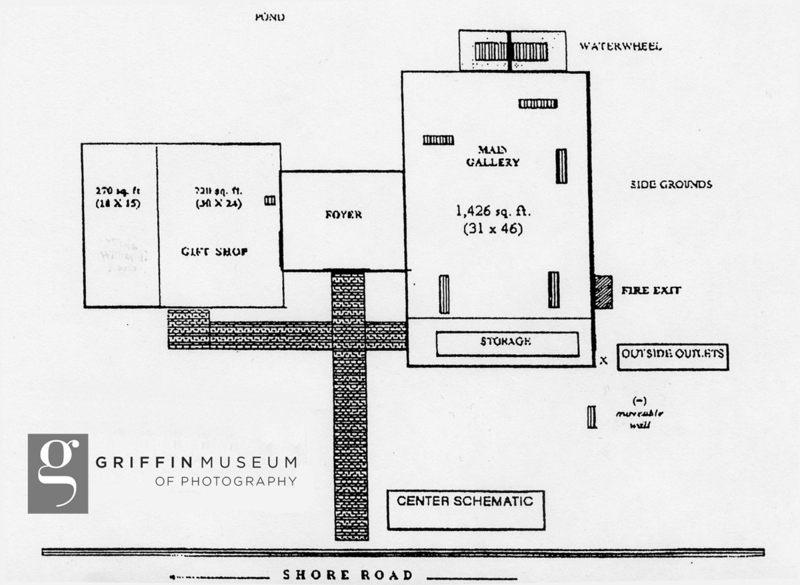 If the Griffin Museum of Photography has played a role in your past, play a role in its future through planned and endowed gifts. 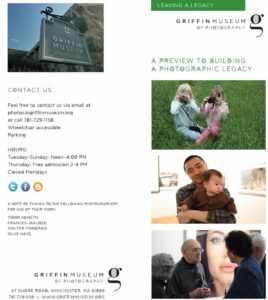 Please join the Griffin Museum of Photography and work with us to fulfill a lifetime philanthropic ambition and provide financial benefits for years to come. Have you wanted to support the Griffin yet your current financial situation holds you back? 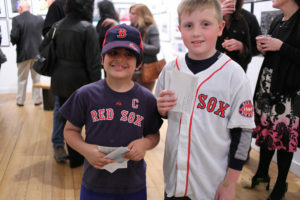 Gifts made through our donors’ estates have made a difference in our mission. An estate gift is a way to create a legacy and continue your support after your lifetime. A bequest or other estate gifts, like life insurance policies and retirement plan accounts, will make a lasting impact on the Griffin Museum. Permanence: your gift will keep giving. An endowment named by a donor to the Griffin Museum joins a permanent bank of endowed funds at the Museum—a philanthropic investment in the art of photography and the cultural life of our community. Commemoration or Anonymity: gifts can honor a loved one or associate, or kept anonymous. 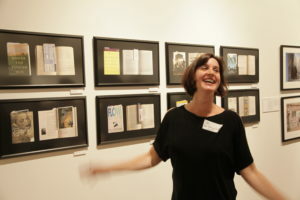 The Griffin Museum honors and protects your preferences. Such funds may be increased at any time by additional gifts. Tax Advantage: contributions may ease your tax burden and supply financial benefits. You may be able to increase the amount of your gift while achieving greater tax savings and income. Contributions to your endowment fund will qualify for maximum deductibility for income taxes. Experienced Investment Management: your fund will be professionally supervised. The Griffin Museum’s Finance Committee and its investment managers provide prudent stewardship of all donor funds. For more information, please contact the Executive Director or download the Leaving a Legacy Brochure.